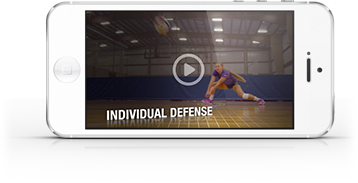 A great drill to help your players develop good footwork and sound fundamentals for blocking is introduced here by Mike Talamantes, head coach at Park University in Missouri and also a coach at MAVS Volleyball club in Kansas. As Talamantes explains, players get a good warm-up with this drill while practicing blocking for multiple situations: a triple block in the middle for stopping an “X” or a “Pipe,” then blocks for a “31,” a “Front 1,” a “Hut,” a long move to the pin on the left-side to block a backset and then a move all the way to the right pin to block an outside set. On double blocks, one player peels off and covers. Talamantes also talks about how his players verbally communicate when blocking to help each other identify the opponent’s attack a split second sooner.